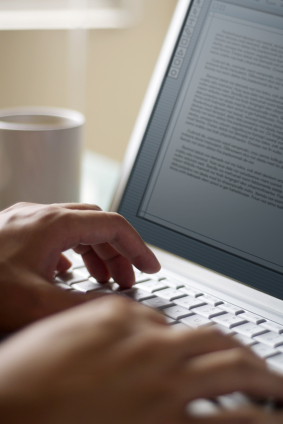 Hire a Freelance Writer from Online Writing Jobs! Online Writing Jobs works with a growing team of freelance writers to create well-written, well-informed content that speaks to your target audience. Our freelancers have experience in a wide range of industries, and we’re ready to connect you with freelancers who have the background and industry knowledge needed to create effective website content. Through Online Writing Jobs, our clients also have the benefit of working with the experienced members of our administrative staff, who act as liaisons between our clients and writers. Our team will work with you to define your content creation needs, provide content strategy, and execute the project. Whether you’re a smaller company interested in building out your website presence, or a larger company looking to fine-tune your on-page SEO, we’re prepared for any content need, within any industry, and of any size, all created with your brand vision in mind. Quality – Our freelancers are screened for skill level and regularly receive ratings based on an in-depth scoring system that takes into account not only their writing, but their ability to follow very specific instructions related to brand guidelines and client needs. Every project goes through a two-tier editorial process, which is completed by our experienced team of in-house editors. Consulting – Online Writing Jobs is partnered with a major Internet marketing firm that has catered to some of the most recognizable and discerning brands in the world. Our consultants are available to help you make the right strategic choices to elevate your brand. Efficiency – We’ve built an infrastructure that can facilitate high volume content production without suffering a loss in quality. We embrace high standards and see each project as a new opportunity to positively impact a website’s presence. To date, we’ve provided our clients with more than 6,000 unique pieces of content per year. Start the conversation today and let us find the professional writer that’s right for your brand.